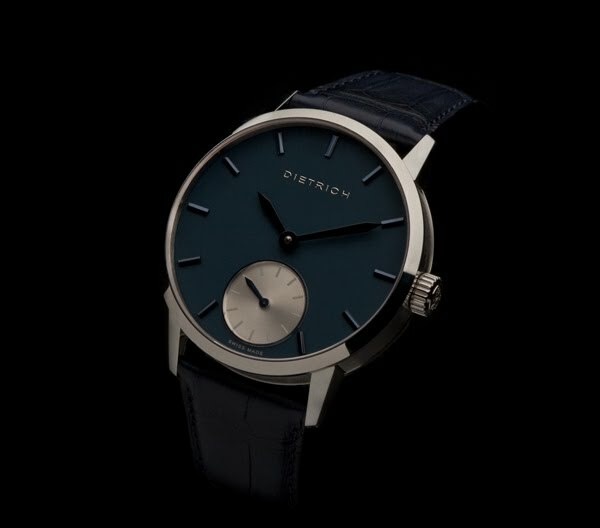 2012/06/13 - Dietrich simply called "Night"
This contemporary small seconds watch is designed to be the perfect companion to a tuxedo at a gala dinner. Stainless steel case with black matt dial, varnished black hours and minutes hands and black small seconds hand and dial. 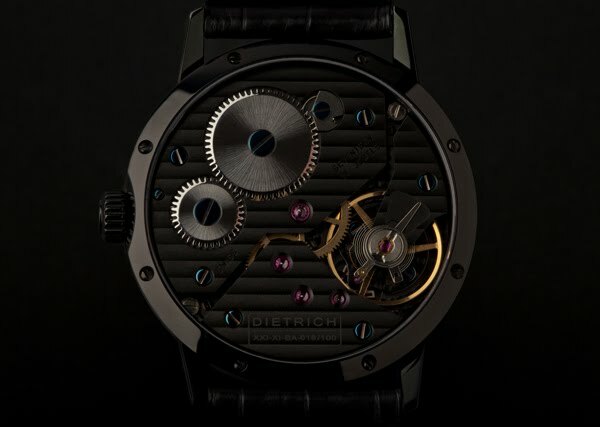 Black PVD stainless steel case with black matt dial, varnished black hours and minutes hands and black small seconds hand and dial.